It is Dr. Seuss's birthday! You can't go wrong with a great Dr. Seuss book! They are so fun to read and your children learn without realizing they are learning! I'd have to say that Green Eggs and Ham is probably my favorite but they are all so great. 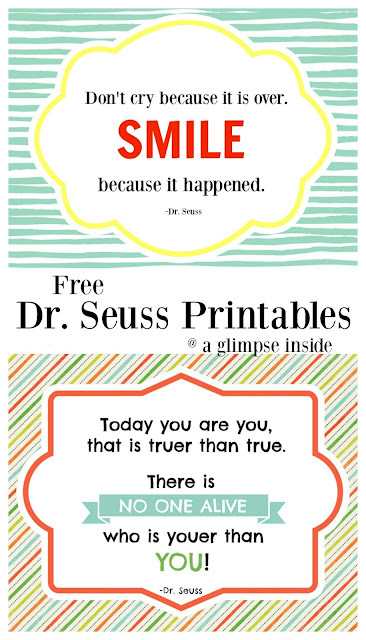 To celebrate Dr. Seuss's birthday, I created 2 printables for you. You can download the printables below. I created them as an 8x10. Just in case the widgets below aren't working, you can also find them here and here.